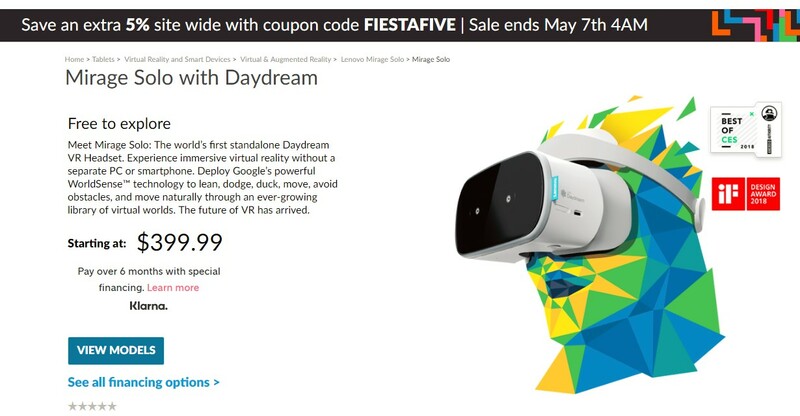 Lenovo’s new standalone VR headset the Mirage Solo was released for sale on Amazon on May 4th. Even though the release was met with skepticism by some who were not thinking about buying it mentioning price as one of the reasons, considering it was more expensive than Samsung’s recently released Oculus GO and saying things such as “you would be better off spending a little extra and getting an Oculus Rift or an HTC Vive:. It has not deterred many who have ordered the device. In fact as of this morning May 5th it appears to be out of stock on Amazon. Even the combo package that includes the VR headset plus the 180-degree camera appears to be out of stock. 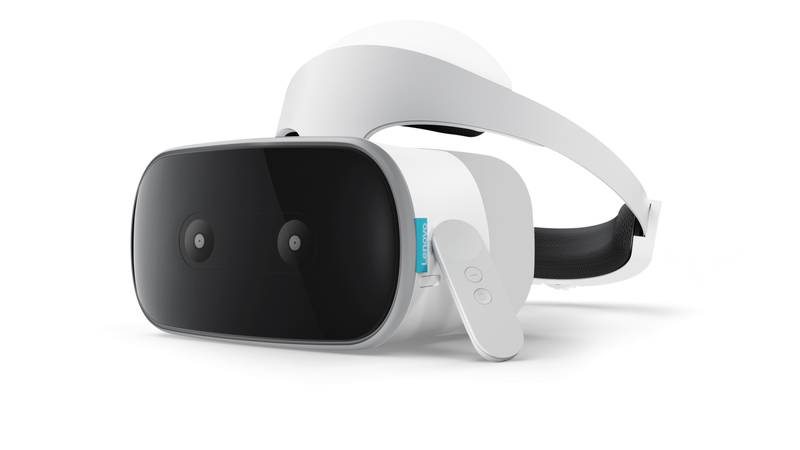 So far the early reviews are positive, A review of the device from TechRadar says “There’s no doubting that Lenovo’s Mirage Solo headset is revolutionary for the mobile VR market in a few ways. So where can you order the VR headset now? Being more expensive than the Oculus Go might make it challenging for Lenovo to convince people to buy the Mirage solo headset instead. Hopefully the fact that it sold out on amazon so fast is a good indication of future sales and wish Lenovo and everyone behind the creation of this headset all the best!